Case IH Agriculture – The Case IH brand represents a tradition of leadership. It is the culmination of great agricultural equipment companies and brands, including Case, International Harvester and David Brown, to name a few. Merlo Telescopic Handlers – Merlo lead the World in Telescopic Handler Design. With more than 40 models of telescopic handler, this family owned company is the third largest manufacturer in Europe. Zetor UK Limited – Established in 1946, Zetor has returned to a series with more engine power with a focus on the 130-170 HP category now being planned. In 2009, a prototype of Maxterra tractor, which is a materialization of this vision, was presented to experts on Agritechnica exhibition in Hannover. Kioti – Kioti remains steadfastly committed to the advancement and growth of tractor technology, value and service. And in this quest, Kioti knows its success will always depend on two things: putting our customers first and believing in the power of teamwork. Pottinger – Pottinger UK has been established in the UK for over 10 years and is a leading force in the grassland machinery sector. McHale Engineering Ltd – The McHale range of Bale Wrappers is known throughout the World for durability, reliability, innovation and value for money. 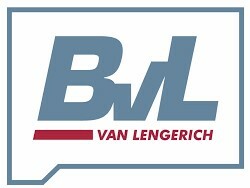 BVL – Our product range includes agricultural machinery for livestock farming. In feeding technology, we are your specialist. Production according to your individual customer requirements with a high diversity of variants and an excellent quality form the substance of our daily work for you. Herron Engineering – Herron Engineering manufacture the market leading Herron trailers and Herron vacuum tankers. Herron Engineering is based in Castlewellan, Co Down, Northern Ireland. Albutt – Albutt is a wholly owned family business, manufacturing equipment for the agricultural, construction, forestry and waste handling industries throughout Europe and the World. We specialise in the design, development and manufacture of attachments for materials handling. Terrington Machinery Importers Ltd – Terrington Machinery are UK agents for Einböck tined weeders, maize and sugar beet hoes, grassland harrows, seeders and cultivators; Tatoma diet feeders and bedders; Batschi bed formers, brush hoes and lifters. We can also source specialist machinery for organic and non-organic growers. Shelbourne Reynolds – Since 1972 when Keith Shelbourne purchased the business assets of Reynolds Engineering Ltd and formed Shelbourne Reynolds Engineering Ltd, Shelbourne Reynolds has been designing and manufacturing farm machinery in Suffolk, England. Cashels – Cashels is a leading manufacturer of equipment for the agricultural, construction, environmental and amenity sectors. Cashels extensive product range includes one of the largest selections of bale handling equipment in the world. Models include single bale handlers, double bale handlers & bale cutters and can be used on the rear linkage, front linkage or front loader of both tractors and industrial loaders. Permastore Tanks and Silos – Permastore have over 50 years’ experience as the leading manufacturer dedicated to the Glass-Fused-to-Steel tank and silo market in all regions of the world. NC Engineering – NC began manufacturing in 1975. Since then the NC factory has been committed to quality products at affordable prices, winning numerous awards for innovation and new design, with a policy of continuing research and development. Walter Watson – Walter Watson Ltd is the largest CARES approved reinforcement fabricator within Ireland. Operating from a purpose built production/administration facility, which incorporates the very latest in computer controlled production machines and material handling. Alpha Delta Machinery – Are involved with the manufacture, supply and distribution of outdoor machinery which includes log splitters, stump grinders, flail mowers and much more. We continually aim to improve our products year on year and have the facilities to tailor and produce log splitters and flail mowers specific to your needs. Keltec Engineering – Since our foundation in 1988, Keltec has diversified from agricultural based products into products for the construction, water treatment and horticultural industries. Our ability to develop new products that benefit clients in terms of increased productivity and significant cost savings, have established us as a unique engineering company in Ireland.